Although "Lobby Ludd" has sidled comfortably through the roller brake test in 2 MOT's during my term of ownership. 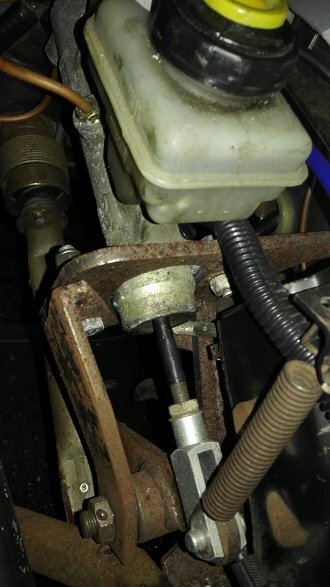 I assume that to do this I would need to reduce the diameter of what appears to be the standard 22mm master cylinder, or increase the diameter of the caliper pistons..
Any advice, will as always , be gratefully received. You really shouldn't need a servo - these cars weigh a third of what the Sierra brake system was designed for. I can easily lock my wheels and mine are all standard bits. In fact, my rears are a single solid disk, not even double or vented etc. Or are yours drums? If so, maybe an upgrade to discs? Have you tried just bleeding them? All standard Sierra on Florin -- vented discs on front & drums rear --- with the Ford Ka 19 mm master cylinder --- makes the pedal light enough for my wife to drive. Probably a big difference in pedal ratios between a 2B Sierra pedal box and a Zero set up. pedal ratios? Length of pedal:travel? 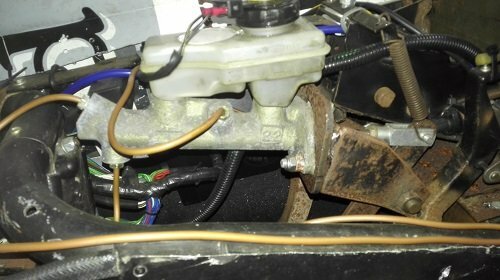 More the ratio of the distances the master cylinder push rod and the foot pad are from the pedal pivot. Bigger ratio gives more line pressure out of the cylinder but a greater pedal travel. Many thanks for the info chaps. 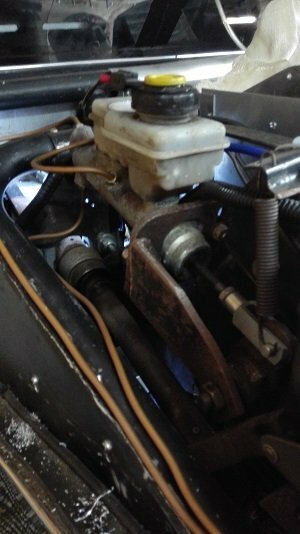 Here's a couple of piccies showing the level of engineering excellence which continues to challenge my health and temper.